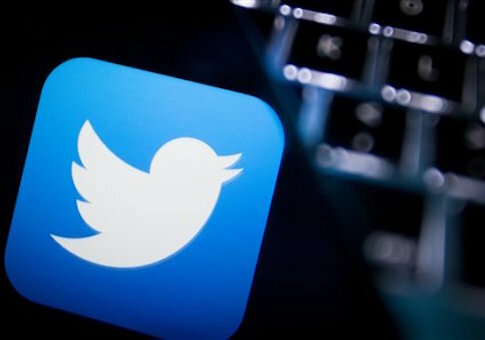 The social media website Twitter is facing criticism for its recent decision to grant verification to the Muslim Brotherhood's official mouthpiece, which routinely writes in favor of violent terror acts and disseminates anti-Semitic propaganda. The Muslim Brotherhood–which has been designated as a terror outfit and banned by Egypt, Saudi Arabia, Russia, and elsewhere–operates in the online sphere via a website known as Ikhwan Web, which serves as the Brotherhood's "official" English-speaking feed. Twitter recently granted verification to Ikhwan Web's online feed, giving the organization an air of legitimacy that leading lawmakers and experts described as reckless given the Brotherhood's history of supporting violent jihad and terrorism. ‎"Verifying the Muslim Brotherhood's Twitter feed helps further their narrative of civilization-Jihad," Sen. Ted Cruz (R., Texas), a Muslim Brotherhood critic who has authorized legislation to designate it in the United States as a terror organization, told the Washington Free Beacon. "This maneuver makes the Brotherhood seem like a legitimate group while providing them cover to spread their radical version of Islam," Cruz added. "I look forward to working with the new administration to expose the Brotherhood's efforts to increase their influence in America." Ikhwan Web's Twitter feed serves as a central hub for the Brotherhood's radical propaganda and official statements. A Free Beacon request for comment to Twitter's public relations department went unanswered. Twitter has faced a wave of criticism for failing to shut down various accounts promoting radical jihad and terrorism against Western countries. Others have criticized the social media site for cracking down on accounts associated with conservative-leaning thinkers and writers. Recent tweets indicate that the Brotherhood is, via its Twitter feed, advocating continued violence and resistance against Egypt's ruling government. It also is working to mainstream the Brotherhood as a legitimate resistance organization and governing body. Ikhwan Web has a history of promoting violence in the Middle East, primarily in Egypt, where the Brotherhood led a bloody coup and continues to support violence against the country's ruling authority. "It is incumbent upon everyone to be aware that we are in the process of a new phase, where we summon what is latent in our strength, where we recall the meanings of jihad and prepare ourselves, our wives, our sons, our daughters, and whoever marched on our path to a long, uncompromising jihad, and during this stage we ask for martyrdom," the Brotherhood said in a 2015 statement that was posted on Ikhwan Web. The website also has a history of defending individuals accused of organizing terror attacks on U.S. soil. Other recent articles posted by the group promote violence against the Israeli government and Jewish people, including one 2009 post quoting a Muslim Brotherhood leader as calling for "jihad" to "liberate" Jerusalem from Israeli control. The Brotherhood falsely claims that Israel is attempting to vandalize Muslim holy sites and prevent access for adherents to the faith. Other postings rally against "the ugly face" of Zionism. Kyle Shideler, director of the Center for Security Policy's Threat Information Office, told the Free Beacon that Twitter's decision to grant legitimacy to the organization is "deeply concerning." "This decision by Twitter to provide the Muslim Brotherhood with this literal blue check of approval is deeply disconcerting," Shideler said. "At a time when Twitter is already facing criticism for banning individuals based solely on speech, Twitter has effectively lionized a group responsible for the burning of Coptic churches and the killing of Egyptian police and judiciary officials," Shideler added. "How is Twitter supposed to help defeat online radicalization when it essentially endorses the biggest source for Islamist radicals in the world?" This entry was posted in National Security and tagged Anti-Semitism, Islamic Extremists, Muslim Brotherhood, Twitter. Bookmark the permalink.